How can you harness your passions and tap great reservoirs of creativity and fortitude to achieve your aims? Expectation Therapy is an examination of the psychological principles and habits of mind that fuel success. Are you ready to start making your dreams come true? "Expectation" is far more than a word. It is more than a concept or idea. It is more than an imagined outcome for yourself or someone else. It is more than a motivating goal. It is more than a desired end-state that pulls you forward. So what is an expectation? It is the basic root of which we grow. Expectation provides a framework that infuses our lives with meaning, purpose, and passion. It is the seed of success. High self-expectations determine the breadth of your dreams and the heights of your achievements. Expectation transcends gender, religion, economic class and physical abilities. Each and every one of us has the power to set high expectations. Doing so helps us to blossom as individuals. Expectation can be our best ally or our staunchest foe. If we diminish or destroy people's expectations, then we undermine their potential. If we continue lowering the expectations for ourselves, then soon there is no higher goal or purpose. Consequently, imagination and hope wither. We must water our lives with high self-expectations so that creativity can flourish. Then we can dream big. The Expectation Therapy Model was crafted to help individuals and society thrive. When the significance and effectiveness of this approach are understood, we can harness expectations to better ourselves in the workplace, in education and every aspect of life. With improved expectations, we create an atmosphere for ourselves to succeed. Expecting the best creates a psychological environment where anything is possible. When we feel the sky's the limit, then we can tackle challenges and the world with a renewed sense of confidence. Most importantly, remember that your expectations are uniquely yours. They contain tremendous power because they come from deep within the core of your being. 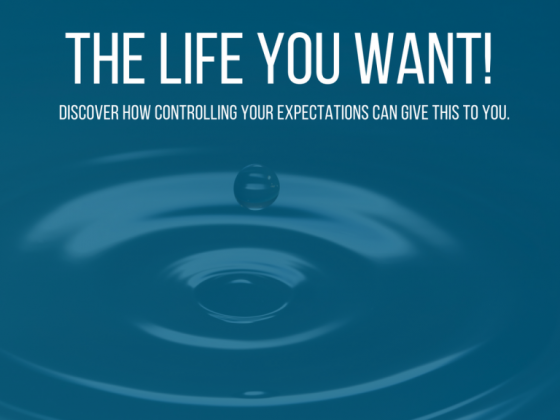 How can you benefit from harnessing the power of expectation? Sharing my story - and how positive expectations have shaped my life for the better - will help to illustrate how you can apply these same principles and techniques to further your unique aspirations.